Global stocks plunged Thursday as fears of a world economic slowdown mixed with concerns over a destabilization of global exchange rates and mounting geopolitical tensions. US stocks staged their sharpest one-day selloff since February 2014, hitting six-month lows and wiping out all their gains over the past year. Shares in emerging markets, meanwhile, fell for the fifth day in a row, hitting the lowest levels since 2011. Markets in China led Thursday’s selloff, falling 3.18 percent. This brings total declines since June to 29 percent, despite an extraordinary series of cash injections by the Chinese central bank, which intensified following the country’s currency devaluation last week. The stock market drop has been accompanied by a sharp decline in economic growth. The most immediate trigger for Thursday’s selloff appeared to be a gloomy assessment of the global economy by the US Federal Reserve in the minutes just released for its July 28-29 policy meeting. In recent years, the ruling class had treated reduced growth predictions by the Fed as a positive sign, signaling further infusions of cash to prop up financial markets. But Thursday’s negative response to the figures may point to fears that, after nine years without a rate increase by the US central bank, global central banks may be running out of ammunition to combat a crisis that is increasingly affecting every corner of the globe. 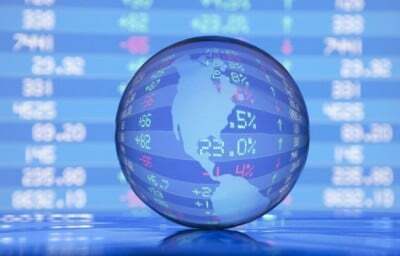 Markets in the rest of Asia, Europe and North America followed the Chinese markets downward. In the US, the Dow Jones Industrial Average fell more than 350 points, closing down by 2 percent. The S&P 500 fell by 2.1 percent, and the tech-heavy Nasdaq plunged by 2.8 percent after the release of negative technology sales figures on both sides of the Pacific. In addition to the negative prognosis by the Federal Reserve, markets were responding to the persistent slump in commodities prices amid a continuing fall in global demand due to the world economic slowdown. The fall in commodities prices is transmitting the recessionary tendencies of the real global economy into financial markets. Reuters noted that the two-week correlation between the US stock market and oil prices is at the highest level in five months. Prices for Brent Crude oil, a benchmark for international oil prices, fell 1.2 percent Thursday, hitting a 7-month low of $46.62. Despite staging a small recovery earlier in the day, US crude prices hit six-year lows. This puts them on track to fall as low as $30 per barrel by the fall, which would be the lowest price since the 2008-2009 financial crisis. The global selloff in markets has been compounded by increasing turbulence in global exchange rates following last week’s surprise devaluation of the Chinese yuan. Kazakhstan’s tenge fell by more than 20 percent after the country announced that it would stop defending its currency peg and allow the currency to float freely, following a similar move by Vietnam. The national currencies of Turkey, Russia and Colombia also saw sharp declines. Worries over these currency devaluations were accompanied by growing fears over the destabilizing effects of a series of intensifying geopolitical conflicts, including recent military flare-ups between Russia and Ukraine, Turkey and Kurdish militias, North and South Korea, as well as India and Pakistan. In the eight years since the US Fed began cutting its federal funds rate, the global economy has been characterized by a tug-of-war between extraordinarily accommodative monetary policies by US, Asian, and European central banks on one hand, and the persistently moribund state of the real economy. Since the eruption of the 2008 crisis, every indicator of a global downturn was met by an overwhelming infusion of cash from global central banks. This process has succeeded in producing an enormous increase in social inequality, along with a massive speculative financial bubble that has grown increasingly divorced from real economic activity. The measures taken by the central banks have been dictated by the interests of the financial aristocracy, and have been accompanied by unrelenting austerity and attacks on wages and working conditions. But there are increasing indicators that the ability of world central banks to contain the swelling economic crisis has broken down. As one analyst at Société Générale told the Financial Times, “The threat of Fed tightening may be perceived to have diminished but the threat from weaker Chinese growth and falling global commodity prices isn’t going away any time soon.” The latter tendencies certainly predominated in Thursday’s selloff. This prognosis is increasingly being borne out as the global economic slump, the destabilization of international currency markets, and growing geopolitical conflicts are combining into a generalized crisis to which the world’s ruling classes can offer no solution.